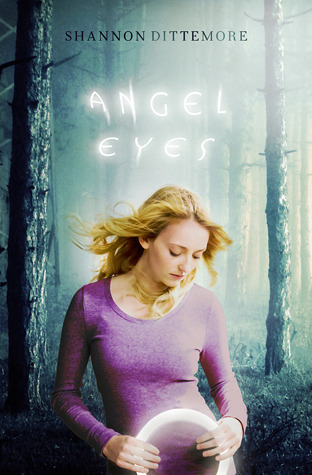 When I first began reading Angel Eyes I had no idea what to expect. I had a feeling from the book's blurb that the story would be different from any 'angel' story I've read and Shannon Dittemore certainly delivered. Angel Eyes piqued my interest at the moment I met Brielle. I could feel the tension, anger, and grief in her words, but I couldn't understand why her emotions were so volatile. Brielle is a character that changes in attitude before the story ends, but her change isn't sudden or unrealistic. I felt her struggle and understood her hesitance in believing in God, angels, and demons, and when she came to terms with her new reality it was with gradual understanding. Dittemore enhanced the world in her description of the Celestial and Terrestrial planes. Humans reside on the Terrestrial and normally can't see what happens in the Celestial, which is where the angels and demons hide in plain sight. Understanding the way of life for the demons and angels really shows the story in a clearer light. This is one of the reasons I really enjoyed the chapters dedicated to the angel, Canaan, and the demon, Damien. Angel Eyes ends in a way to let readers know that more is in store for Jake and Brielle. The problem of the story isn't dragged on, or abruptly cut off, but it's impossible for the journey to be over already. There's still so much to learn about Jake and Canaan, and Brielle is only viewing the world through new eyes for the first time. I'm looking forward to the next book in the series, Broken Wings, because I'm just not ready to give up Jake and Brielle! THANK YOU, Candace! I'm ever so tempted to just call you Lovey Dovey at all times because it's so stinking adorable. I can't tell you how much I appreciate all the time you put in to reading and reviewing AE. THANK YOU, thank you, thank you.